For $170 per month a life on the brink of disaster can be housed, fed, educated, and most importantly, introduced to our Savior Jesus Christ. We thought we were taking the girls to their new homes, girls who had recently aged out of the government home for girls in Addis Ababa, Ethiopia. The America World/One Orphan team before us had left rent money to ensure that these eleven, 18 year old girls would not be left out on the street when the orphanage released them into the world that day. We were excited to buy them mattresses, blankets and necessities for setting up their first homes. As we approached their new homes, we quickly realized that this was not what they or we had expected. The word home seemed deceptive, really. No electricity, dirt floors, unsafe neighborhoods, rooms no bigger than a closet with barely enough room for a mattress, rooms without a window. The girls were spread out all over the city, not close to one another. Their support was gone. As we delivered them one by one to their new homes, it wasn't the homes that tore our hearts out. It was the look on each of their faces. We looked into their eyes, and despite the smile that they tried to put on, what we saw...was FEAR. Bete Hosanna: "We praise you God! Rescue them; save them now!" 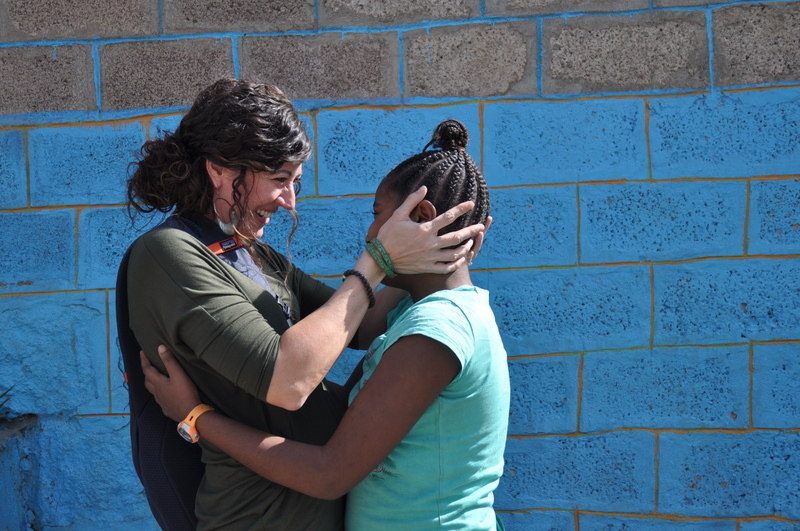 God has provided a vision - A house where eleven 18 year old girls can be found laughing, learning, loved, and safe. A house where the primary goal is for each of these girls to have a personal relationship with Jesus. A place where each girl is taught a trade that she can use to advance her future and sustain herself. A home where she is not alone because she has ten sisters and a house mother looking out for her. Hunger is never an issue as she has food to eat and she is learning how to cook. She is taught to do a coffee ceremony each day, so that when she has her own home, she will be comfortable entertaining guests. A house where she is learning to manage her finances so that she will be wise with money. Love abounds here and her heart is filled up with joy because she knows she is significant, she is seen, and she is a daughter of the King. In Ethiopia, orphaned children that reach the age of 18 are, by law, sent out from their orphanage. With no outside contacts or help. Young women find it especially challenging to survive in a poverty-stricken country. God has underscored this need and recently moved in very obvious ways to lead in the development of a home for these girls. For less than $170 per month ($2,000 per year), a life on the brink of disaster can be housed, fed, educated, and most importantly, introduced to our Savior Jesus Christ. The opportunity to share the gospel and watch seeds become generational family trees that glorify God is exciting! We hope you will partner with us in loving these treasures and reaching their souls! In support of Angela and Dylan LaPlace and their passion for and commitment to this ministry.